Good news for stamps collectors and admirers of disciplined services/ uniforms. 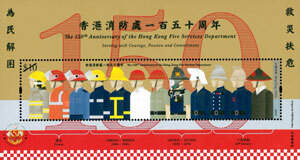 The year 2018 marks the 150th anniversary of the Hong Kong Fire Services Department. 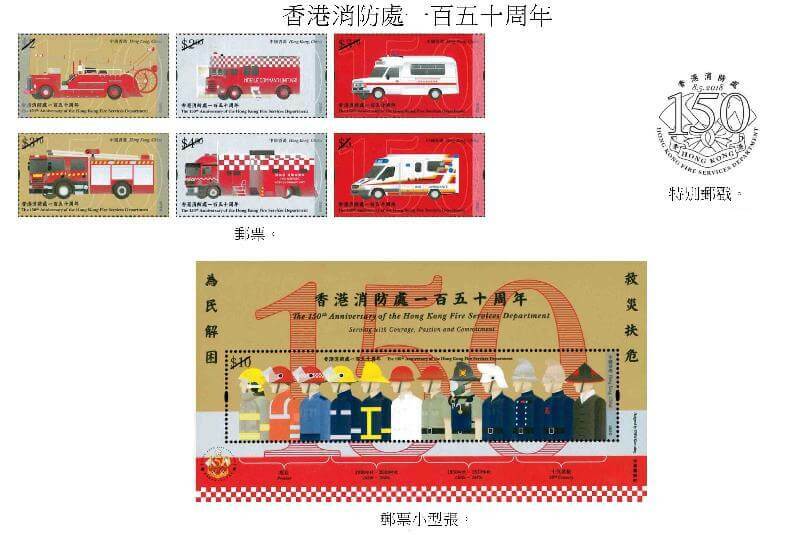 Hongkong Post will issue a set of six commemorative stamps to celebrate the historic moment. Stamps will be issued on 8 May 2018. A hand-back date-stamping service using the office steel date-stamp and the special postmark will be provided on 8 May 2018 at all post offices for official/privately-made covers bearing the first day of issue indication and a local address. Among the commemorative stamps, Darmian loves the accompanying stamp sheetlet most. 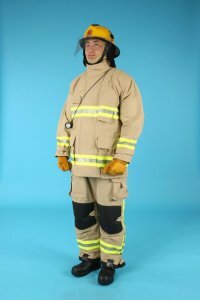 The sheetlet highlights the evolution of the uniforms of the Hong Kong Fire Services Department from the 19th century (British-cut style) to present (PBI Matrix Structural Firefighting Protective Tunic and PBI Matrix Structural Firefighting Protective Overtrousers). 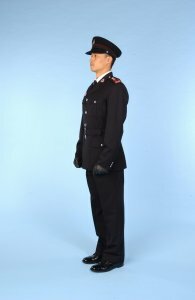 Apart from incident uniforms, there are in fact many other types of uniforms in the Hong Kong Fire Services Department, from fire protection/ instructional duties, formal parades, to normal daily dresses. 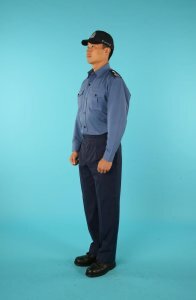 How to Order ‘Real’ Uniforms? Or Bulk Purchase Suits? Darmian myself is not capable and physically strong enough to be a fire fighter. But as a consultant working in the fashion industry, uniforms and suits have become an integral part of my daily life. Many overseas friends asked Darmian “where to order uniforms” for my company’s staff, “how to buy suits in bulk” for my family, “where to buy outfits for my groomsmen” from Hong Kong tailors. Some have tried searching and contacting the suppliers one-by-one, but found it time-consuming and inefficient. Instead, Darmian would recommend using Tailor-M.com. 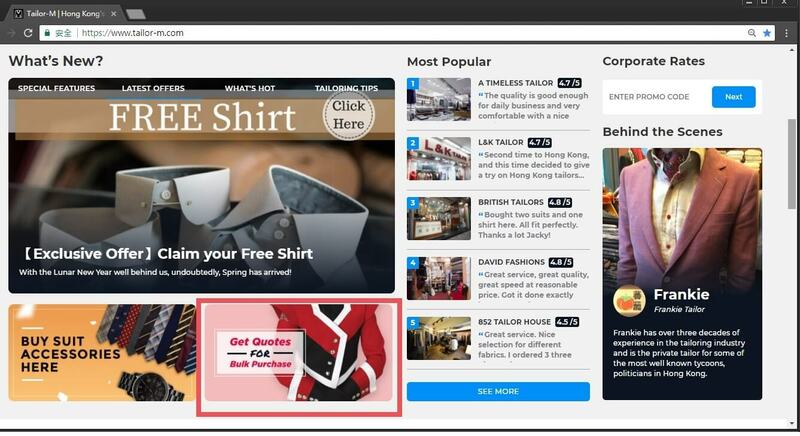 Tailor-M is an online marketplace for people to search, compare prices and reviews on different tailors in Hong Kong. 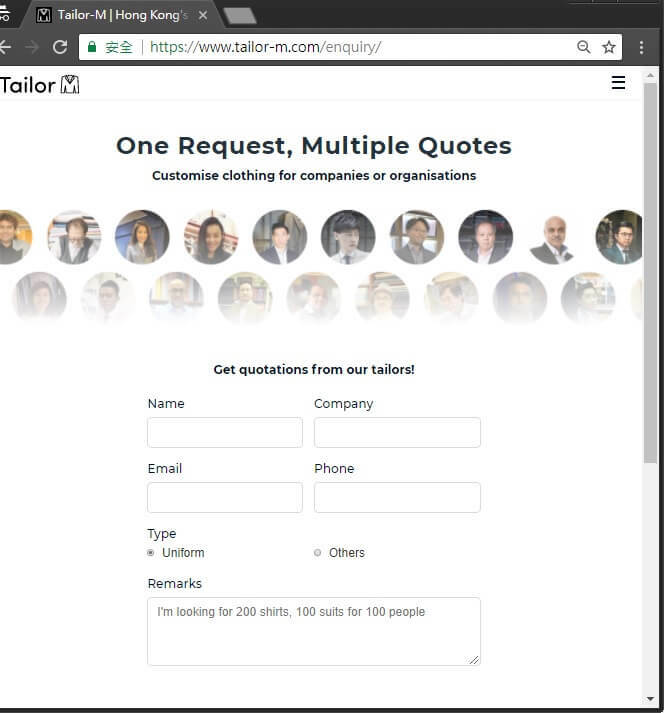 Apart from information, Tailor-M also provides a useful function – “bulk purchase inquiry and order” function – also applicable to customers located in overseas. Customers just need to input the order details (including the estimated order quantity and product types), tailors will revert with their price quotations at their earliest convenience. 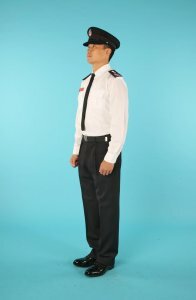 No matter you’re looking for uniforms for your staff, group purchase of suits for my family or groomsmen, I am sure Hong Kong tailors are willing to travel to your place (even if you’re in overseas) if you have a minimum order quantity of about 15-20 units.